Horse trophies, awards and medallions recognising and rewarding individual and club achievements and success. 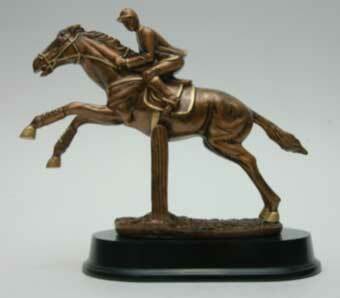 Resin Showjumpers Trophy. 230mm tall with great detail. For those with "a clear round"